Literally every week of my life lately there is a new entertainment news story about some nonsense Lindsay Lohan has gotten herself into, and I am one hundred percent over it. If she's going for shock value, she's ruined it for herself simply by the pure number of incidents she has been linked to in the past six weeks. I mean, I kind of want to be impressed. I imagine it's hard to be that much of a trainwreck without trying just a little bit. But you know what? I don't think she tries at all. She just really is The Worst Ever Of All Time, and she just bumbles through life existing as such. Kind of like a drunk elephant trying to navigate a megachurch mid-service. By now, she's clearly reached the point of no return. 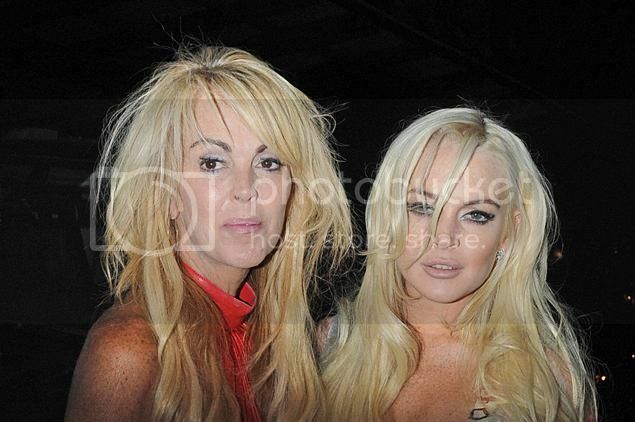 When someone says "Lindsay Lohan," no one on the planet is going to associate it with anything worthwhile. At least Snooki has a somewhat cute baby and an SNL weekend update parody going for her. Someone on the face of the earth might consider her a respectable human being. Lohan, not so much. It almost makes me wish Tina Fey would just expunge Lindsay's existence from Mean Girls because she doesn't deserve it anymore. Like the NCAA does with championship titles. Just take it away from her. That movie is gold, and Lindsay is by far the weakest link in it. The movie is quite possibly the most successful thing she's done, and she is ruining it more day after day. Just recast her and refilm the whole thing. Or use photoshop. Y'know, whatever. Like anyone would even be mad. Get out of here, Lindsay. Just…just go. This is what's called tough love. We're kicking you out of being a person. You can come back when you learn to behave yourself even just a little tiny bit. That's all we ask. Behave yourself, like, a Lady Gaga amount. That is not a high bar. She puked on stage and regularly shows us too much of her body, and I still think she has more class than you. So all that to say, get it together, Lindsay. We're exhausted just from reading your headlines and your statements saying you just really want to focus on your work COUGHinalifetimemovieCOUGH. Who do you think should replace Lindsay in Mean Girls? I vote Emma Stone. Because she is the anti-Lohan. Meaning she is The Best Ever Of All Time.